Modern House designs are uniquely designed such that they require a lot of precision when installing additional accessories. Most homeowners today look up to having homes that are elegant and provide a positive ambiance. This can be achieved by installing trendy accessories which include glass materials. Glass material in any part of the home is considered as an indicator of luxury and comfort. Frameless shower doors have become popular accessories in the bathroom areas. The trend of having the frameless shower doors are meant to improve the appearance of modern homes to give them the elegance the owner desires. 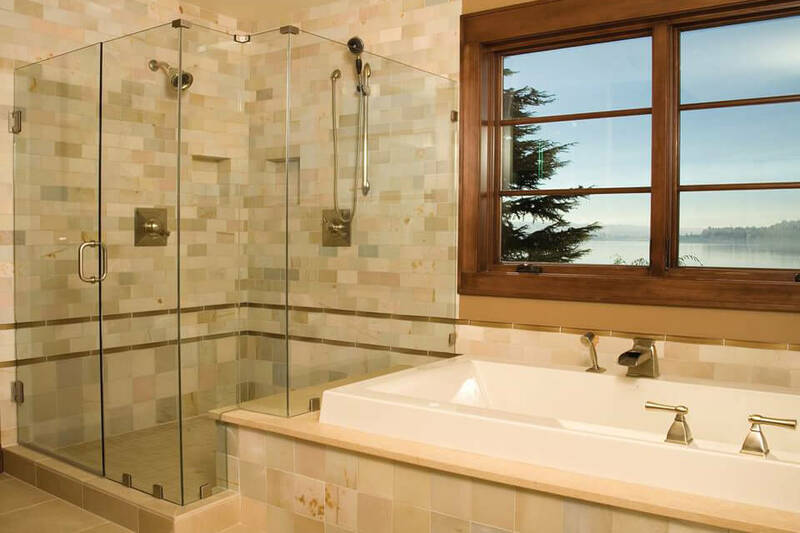 Interior designers are dedicated to providing unique shower glass doors that satisfy the needs of their customers from different backgrounds. With sufficient resources, it is possible for homeowners to install frameless shower doors that are customized for them. Installation process could, however, require meticulousness due to the nature of fragility of the glass materials. The installation phase is essential for any individual interior designer or homeowner. It entails taking the right measurements and fixing the doors in the required design. Precision is a factor that is required in abundance. To ensure that everything goes as planned during installation, here are the top factors that should be considered in the process of acquiring and installing frameless shower doors. The angles of installation used for the frameless glass doors are essential. Most individuals may overlook this factor if they do not have enough experience dealing with this type of installation. The angles must be combined so that an excellent finish may be achieved. The main reason for installing the frameless shower door using angles is due to the shower equipment which is designed to be installed in certain angles. Without consideration of the angles, the equipment could end up conflicting with shower door in the long run. Therefore, it is essential to consider all the equipment being installed within the glass shower, so the doors are excellently placed. Installation of the frameless shower doors may be a delicate task. There needs to be enough support for the shower so that the doors can be fixed successfully. Ideally, the shower walls that the frameless shower door is to be attached should be firmly installed. This helps in the reduction of instances where the door would cause the collapse of the entire structure. If a glass shower enclosure is used and the door has to be attached on one of the glass panels, then it must be well held and in position. This is the only way that the safety of the frameless shower door may be assured. Shower curbs are mostly preferred to flat floors due to their ability to prevent water from flowing to other spaces out of the shower enclosure. When installing frameless shower doors, it is essential to consider the shower curbs. A homeowner may decide to use a shower curb to maintain neatness within the shower area. When the doors are being installed, it should be on the raised side of the curb. This means that the water would flow away from the door to the drain. In addition to this, the curb should be slanted at 5 degrees away from the door towards the drain. This would make the show area neat, and no water would flow out. Maintaining a vertical angle of the frameless shower doors is an essential hack. The installer should ensure that the glass panels where the door is to be attached are plumb. This helps to avoid situations whereby the glass door would overlap the panels causing wear and tear. Also, having intact custom shower doors helps in reducing instances of leakage outside the shower area. Therefore, before installation, accurate measurements should be done to ensure there is a perfect fit for the shower door and the glass panels. Failure to maintain precision would result in poor designs. Tiles that are installed within the bathroom are considered to be gorgeous. However, a lot of care has to be employed by the installer to ensure they do not destroy the existing tiles. Ideally, some interior designers would prefer attaching the frameless swing shower doors on the tiles. This would be a wrong move because the tiles are fragile while the shower doors are sturdy. This would thus cause the tiles to break off which creates an unattractive sight in the bathroom. Looking for alternative spots to attach the shower doors would be recommended rather than using the tile surfaces. The homeowners should be conscious about maintaining the beauty of their bathroom spaces rather than destroying them. Before anything is installed, there should be a careful assessment of all the accessories within.